Pingda Ren, Ph.D., is a co-founder of Kura and has served as our Senior Vice President of Chemistry and Pharmaceutical Sciences since October 2014. 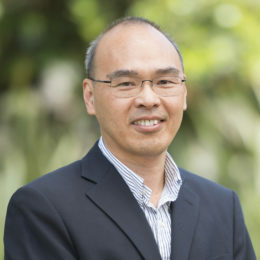 Prior to joining Kura, Dr. Ren co-founded and served as Senior Vice President of Chemistry of Wellspring Biosciences Inc., a private biopharmaceutical company, from July 2012 to September 2014. Dr. Ren also co-founded Intellikine, Inc., a private biopharmaceutical company, where he served as Vice President of Chemistry from 2007 to May 2012, until its acquisition by Takeda Pharmaceuticals. Prior to Intellikine, Dr. Ren was a Senior Research Investigator in Genomics Institute of the Novartis Research Foundation. Earlier in his career, Dr. Ren was a Senior Research Chemist at Albany Molecular Research Inc., a public global contract research and manufacturing organization. Dr. Ren earned his B.A and Ph.D of Chemistry from Fudan University in China. He completed his postdoctoral research with Professor Huw M. L. Davies at State University of New York at Buffalo. Annette North Catherine Scholz, Pharm.D., R.Ph.